Kelly joined SVA in 2007 as a client service representative at Green Lake Animal Hospital. Kelly started her life surrounded by multiple pets (mostly cats) and remembers helping bathe dogs in her mother’s grooming shop as a child. It seemed only natural for her to continue working with animals as an adult. She loves to learn all the whats and whys of veterinary medicine and find ways to make that information useful and understandable to everyone. She’s also passionate improving the veterinary experience for pets. She’s very interested in visual arts (mainly photography) and finding ways to combine these things with her job. 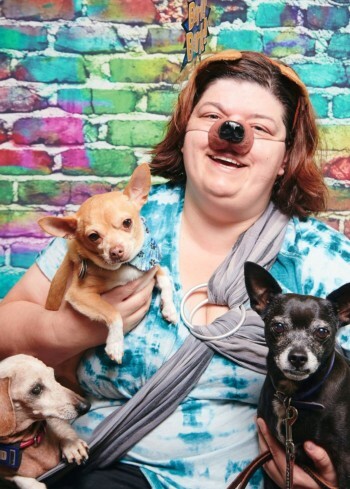 Kelly’s furry family includes Loki the Basenji, Dache the Chihuahua, Cookie the Chihuahua, Phoebe the former Old Dog Haven foster Chihuahua, Lily the Dachshund, her twin Millie the Dachshund, and Turbo the parakeet. She often finds herself with a lost waif who needs a soft place to land (which is where most of her pets come from). Kelly volunteers for MEOW cat rescue in Kirkland mostly helping with their annual Feline and Fine Wines auction and annual Santa photos.